South India has plenty of gorgeous treks offering unique experiences that are sure to spark your sense of adventure. Some are well-known, others are less commonly-chosen trails, but all offer the best trekking in South India. A visit to South India is incomplete without at least a weekend trek to witness the region’s peerless beauty and tremendous ecological diversity. One of the best things about trekking South India is that there is such a variety of experiences available that each new trek is bound to bring you in contact with something new. Some of these are the most beloved adventurous treks in India and fit for intrepid hikers, others are completely local and family-friendly. All are incredible. 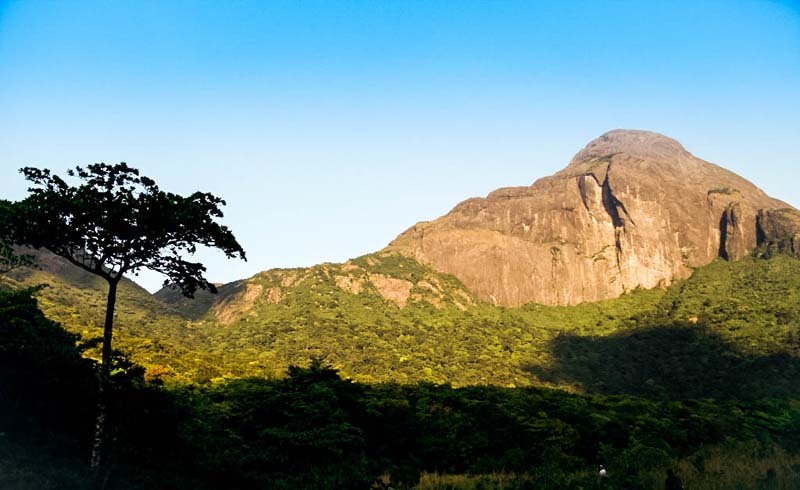 Situated in the Namakkal district of Tamil Nadu, the Kolli Hills are a part of South India’s literary tradition: They form a backdrop for much classic Tamil literature. Pristinely clean and free of pollution, this trek will take you to heights of 1000-1300 meters while winding through lush evergreen forests. Not to be missed is the Agaya Gangai waterfall, which is located near the Arappaleeswarar temple. If you’re looking for an escape from the “plugged in” experience of the daily grind and need to get back to nature for personal restoration, this is the trek for you. Lodging and dining options are sparse, so a trip here does require some forethought. Your backpack and gear (built-in rain protection a plus!) will need to be on-point to make this an enjoyable experience. Any time of year is a great time to trek the Kolli Hills with the exception of January, when temperatures are at their lowest. The Nilgiri Hills are part of the Western Ghats, also situated in Tamil Nadu. 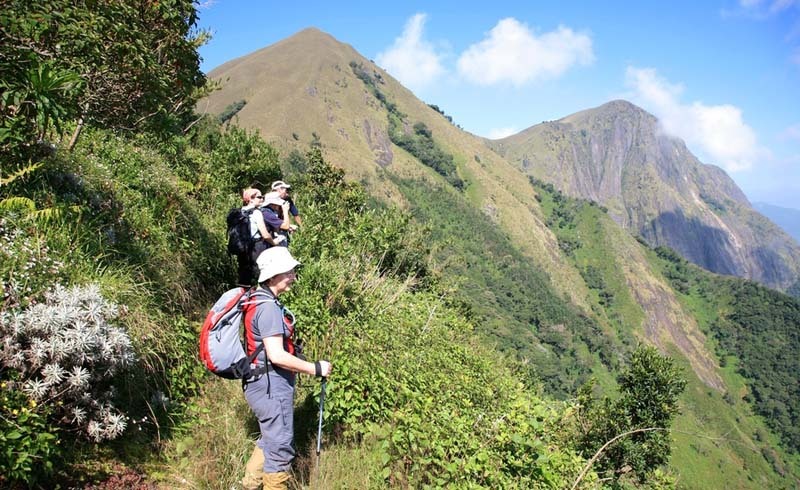 Sharing a border with Karnataka and Kerala, the Nilgiri is one of South India’s best-loved treks. It is a great experience for beginners, owing to the fact that the slopes are gentle, the weather is generally mild, and permission to trek—which is given by the local wildlife warden—is not hard to obtain. Keep your camera handy (I love keeping a smaller camera in a travel-friendly fanny pack on day hikes) because idyllic tea and coffee plantations are plentiful throughout the rolling hills. For the most favorable weather, the best times to trek Nilgiri Hills are between April and June and then September to December. Also in the Western Ghats, Coorg is a hilly, affluent countryside replete with coffee plantations. Native to this area are the Kodavas, a local clan known as much for their warm hospitality as their adeptness at martial arts! Experience exotic scenery and lush green forests as you trek through “homestay” towns like Virajpet, Kushalnagar, Gonikoppal, Pollibetta, and Somwarpet. January through March is considered the ideal time window to experience Coorg trekking, as opposed to June through December when monsoons run through and you’d face a decidedly wetter experience. You don’t need to pack a tent for this one, so a mid-sized hiking pack should do well to carry essentials and a change of clothes—the homestays will cover the rest. Peermade offers more challenging options for those who want some serious adventure on their South Indian trekking adventure. Kuttikanam, Kalthotti and Vagamon are all popular treks. When you’re in the area, you can also enjoy paragliding and horseback riding in the foothills. And breathe deeply, because the air is spice-scented as you pass by coffee, tea, pepper, cardamom, and rubber plantations. The best time of year to visit Peermade is either April through June or September through November. This spacious, gorgeous wildlife sanctuary is a mere 7.5 miles (12 kilometers) from the neighboring town of Amballoor. It is a birdwatcher’s paradise, with over 160 avian species native to the area. The butterfly sightings are also plentiful, including the largest butterfly of India, the Southern Birdwing, and the state butterfly of Maharashtra: the Blue Mormon. The largest moth in the world, the Atlas, can be found here as well if you’re paying close attention. Trekkers would do well to visit between October and March. Are you excited for your South Indian trekking expedition yet? What itinerary do you have planned? Let us know in the comments below!